How many businesses can truly say that their staff maximise social media and have a full understanding of how it works? Do their staff really know about social media amplification? Social media influencers? Brand ambassadors? Search Engine Optimisation? Mobile Optimisation? Or do businesses just rely on someone that knows a bit about Facebook and Twitter? Too often businesses will hire a trainer or send staff on a social media course, (or worse do nothing and just hope), that provide a brief insight into how social media works. At the end of the training they might be lucky enough to get a photocopied certificate congratulating them for having attended “Tom’s Twitter Training” or “Fred’s Facebook Training”. But these certificates are worthless as they are not nationally recognised nor are they accredited or transferable. To be sure that staff really know how to use social media for your business there is no denying that getting proper accredited training is the way to go. Nationally accredited qualifications are developed using specific learning outcomes and performance / knowledge criteria. The learner has to actually demonstrate competence and knowledge. 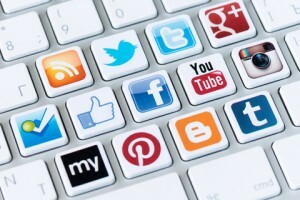 VQ Training has developed an online course that delivers the knowledge and skills needed to be skilled in social media. The course covers all aspects of social media including using and understanding Twitter, Facebook, LinkedIn, YouTube, Pinterest, Google +, SEO, Social Media Management tools and Social Media advertising. The course is delivered through a mixture of online modules which include over 100 videos and learning documents. Candidates will need to build an online portfolio demonstrating their competence and knowledge. There are also online webinar training sessions and one to one sessions with a course assessor.